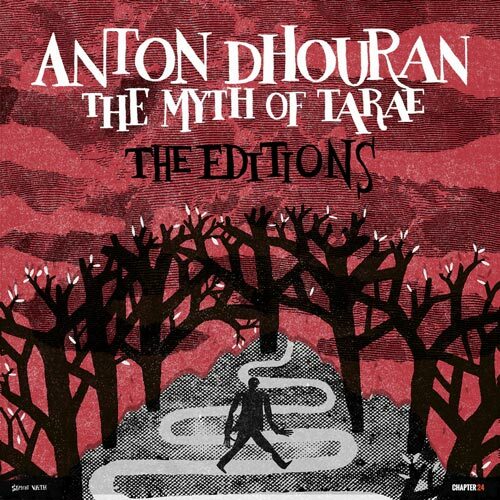 In the aftermath of Chapter 24’s second album release – The Myth of Tarae by young Parisian composer Anton Dhouran – comes the Editions package.Dhouran’s debut full-length LP is typically epic in its breadth and narrative, effortlessly melding the combination of electronic, instrumental and cinematic styles for which he has become known through labels such as Diynamic, Family N.A.M.E. and The Soundgarden. Here the outstanding title track is reworked by three big hitters, each inspired by, and giving pride of place to, the transportive vocals of singer Ed Begley. First up is Third Son, who marks a return to Chapter 24 with a standout driving, techno cut. The microCastle, Last Night On Earth and Polymath star delivers a pulsating track with a huge, detuned orchestral payoff which has been destroying dancefloors worldwide for many months. Next is Olderic, the Venetian DJ and producer who has carved an enviable reputation for his productions on the likes of Connaisseur and Siamese as a solo artist, and on Get Physical and Innervisions in tandem with studio pioneer Andrea Doria as Stereocalypse. Olderic’s Edition hits his immaculate standards, being both innovative and forward-looking, heavily percussive and deeply trippy. AZZUR label bosses Konvex & The Shadow close things out with a double helping of goodness. Their Rodeo Edition* is furnished with a huge distorted arpeggiated bassline, swelling harmonies and excellent use of the original vocals. Meanwhile, their Celestial Edition offers soft chords and a more mellow, gently 80s-influenced dimension. These are stories in sound for the ages, re-telling The Myth of Tarae for all comers to hear. As the winter solstice approaches and the fool’s journey comes to a close, Chapter 24 marks its first two years of releases with a 24th EP. 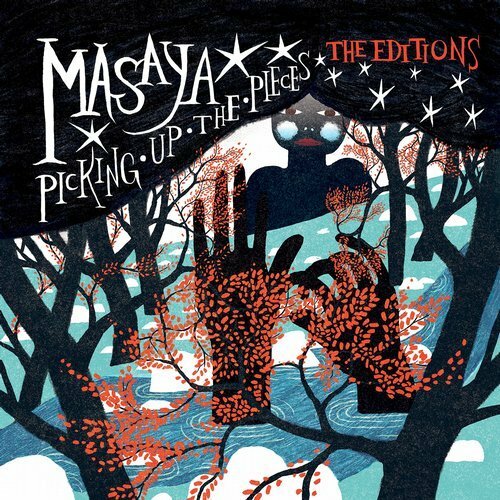 This symbolic offering is a vinyl-only package from Masaya, with an Edition by her close friend and frequent b2b DJ partner Ripperton. The final act unfolds. Chapter 24 serves up a powerful 13 track album that finds a wealth of originals from Masaya’s debut, Picking Up The Pieces, getting the Editions treatment by top artists including Ripperton, Petar Dundov, Patrice Baumel, Johannes Brecht and many more. They make for essential listening. First out of the bag, Kurt Baggaley flips Walking Dad into a deep spine tingling number that will infuse and fill the dance floor with warmth and soul. Love over Entropy’s take on Haumea is deep but more driving, with slick synth modulations colouring the grooves, then Swiss master Ripperton builds lots of tension with his brooding techno remix of Flow of Tears. As well as a starry and cosmic Edition from Nhar, a tense and edgy take from Neil Flynn and a melodically excellent variation from Croatian Petar Dundov, the album includes a slow and haunting rework from David Durango and a skittish, broken beat kicker from Patlac. The final third of the collection hones in on simmering techno from Johannes Brecht, a loose house roller from VVerses and masterfully seductive and steamy tech house from Patrice Baumel. Closing things out in fitting style are a rumbling epic from Malbetrieb & THC, and Paul Nolan’s delicate take on Time Goes Fast. These works all breathe plenty of new life into the still standout originals from the Swiss Chilean artist and are sure to do plenty of damage on the dancefloor this summer. The 24th Chapter is at last revealed in full.